Auto body repairs come in all shapes and sizes. From a parking lot dent, to extensive traffic accident damage, we can help! 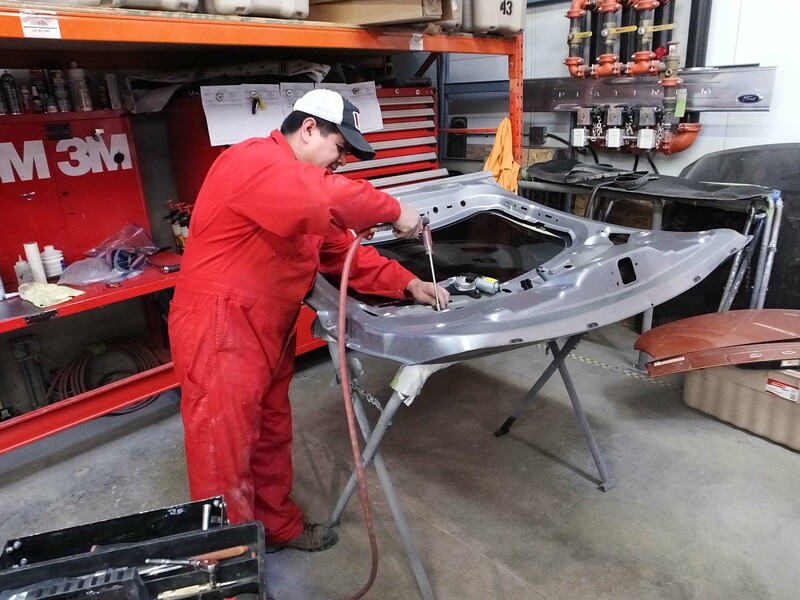 We can repair dents, and on larger jobs we can replace body panels, and restore or even replace the frame. Repairs can be made to the exterior, or the interior of your vehicle. We make it convenient, with drop-off locations at Village Honda in the north west, Advantage Ford, Woodridge Ford and Big 4 Motors in the south east, and at Okotoks Ford Lincoln in Okotoks. For quick quotes, we make it even easier with our estimate tool, no need to bring your vehicle in for a price, just send us clear photos and we will be in touch as soon as possible. We handle all makes and models, with specific manufacturer certification and warranty approved parts for Nissan, Ford, Dodge, Honda, Kia and more. Make sure you make the right choice for your vehicle, and inform your insurance company that you want to use Woodridge All Makes Collision Centre.